Most dentists would agree that mechanical cleaning (like toothbrush and flossing) are the cornerstones to good oral hygiene. The reason is that plaque (the furry feeling on your teeth) is what is called a bacterial bio-film. A bio-film is hundreds of layers of bacteria one on top of another. My analogy is its like shower mold, the only way to effectively get rid of it is to scrub! Unfortunately usually mouthwashes will only kill off the top few layers of bacteria, leaving the rest behind to keep multiplying! I find that patients (probably due to advertising) have an unfounded belief in the effectiveness of mouthwashes that usually leads them (consciously or unconsciously) to neglect their brushing and flossing. For most patients any issues can be solved by modifying their brushing techniques or introducing flossing and or inter-dental brushes into their routine. Adding even more confusion there are many types of mouthwash: Chlorhexidine based, alcohol based, essential oils and peroxide based. Just to name a few! They definitely aren’t all created equal. Chlorhexidine (such as Savacol) has the most evidence base behind it (such as this recent Cochrane review) and is what we and most dentists will use when required in their surgery. These have a long history of use and are an effective additional measure for some patients. One downside is some patients experience a slight brown staining (which can be easily polished off) with extended use. Alcohol based mouthwashes like Listerine however are the most prevalent in the public conscious , they give patients the impression they are effective due to the burning sensation of the alcohol. However worryingly they have been linked to higher risk of oral cancers. Given this I would never recommend an alcohol based mouthwash. 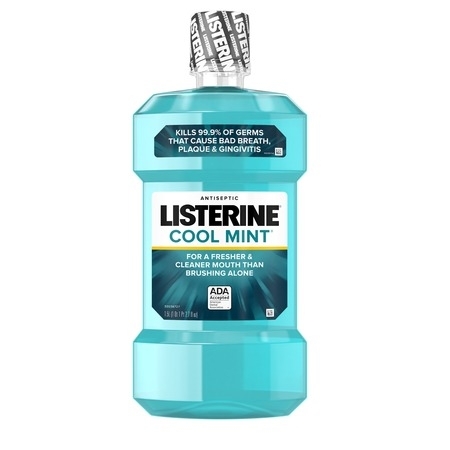 Companies like Listerine have felt the pressure to move away from alcohol and have introduced essential oil based mouthwashes, my understanding is that the peer reviewed evidence for these are limited, however they do seem to avoid the oral cancer risk which is preferable. Peroxide based (such as Peroxyl) have a small but growing body of evidence. They act to break up bio-film and oxygenate your mouth which are effective against pathogenic anaerobic bacteria in your mouth especially for patients with periodontal disease. Additionally it has a slight whitening effect on your teeth! All in all I do occasionally recommend mouthwash to patients, this is usually limited to cases where usual brushing and flossing is very difficult (disability/stroke/injury) or for patients with more complex oral environments such as those with advanced periodontal disease, undergoing cancer treatments or other systemic medical issues. So mouthwash definitely has its place but for the average patient, you are going to be a lot more effective by focusing on how long and how thoroughly you brush and floss!